As children grow, they experience a range of developmental milestones including physical, cognitive, social and emotional growth. There are various emotional development activities that can nurture and support children when developing in these areas. Below, you will find a range of activities to assist your child’s emotional development. Reading is a wonderful activity to support the development of emotions. Whether they are fiction or non-fiction, books provide a wealth of information to help children process their emotions. Books can encourage empathy, as children must consider the character’s point of view and think how they might respond to the different events in the book. In addition, children may relate to the character’s experiences and learn how to process different emotions. For this reason, it is important to choose books that positively support children’s emotional development. 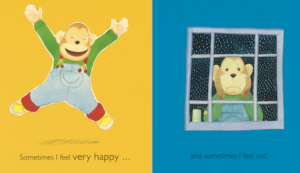 Brilliant books such as How Do You Feel?, 50 Ways to Feel Happy, A Book of Feelings and Dealing with Feeling series can help to directly support specific emotions your child is experiencing. For books that are more subtle in managing feelings, you may like to try Ivy and the Lonely Raincloud, Pip and Posy: The New Friend and Guess How Much I Love You Here, There and Everywhere. Moreover, for children who are starting school, this can be an emotional time – from feeling nervous to feeling excited, Going to School is an excellent, informative book to prepare your child for the transition into education. Puppets are another example of beneficial emotional development activities and can be extremely versatile. Parents and teachers can use puppets to act out various scenarios that may be based on children’s experiences or stories; this helps help children to develop their emotions in a creative, imaginary scaffolded play session. Alternatively, children can also act out their emotions and experiences themselves using puppets. This can help children to not only develop their emotions, but also improve self-confidence and storytelling skills. 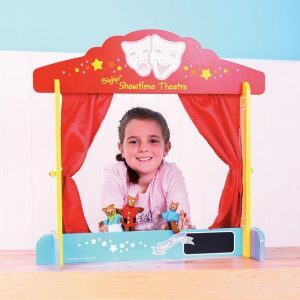 You can find a great table top theatre here, alongside a vast selection of excellent puppets. Similar to the use of puppets, pretend play also utilises imagination and creativity to develop emotional skills. Children love to imitate behaviour and act out different roles, so emotional developmental activities such as pretend play are opportunities to exercise this behaviour. Through doing so, children can work through positive and negative emotions they associate with the roles and, like reading, develop empathy as your child puts themselves in another’s shoes – figuratively and literally speaking, if they are playing dress up! For little ones with green fingers, why not take a look at this Gardening Tools and Bag, perfect for digging in the dirt and watering plants. 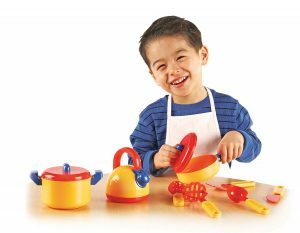 Alternatively, for those who enjoy playing chef, perhaps try this Fruit & Vegetables Cutting Set and Wooden Food Mixer. Another example of emotional developmental activities is cooperative play. This can be extremely beneficial to both social and emotional development, as children must learn how to navigate sharing, taking turns and negotiating roles amongst their peers. 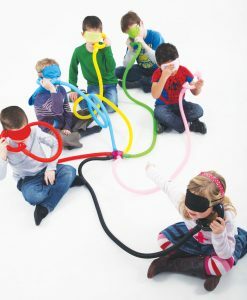 Who’s Speaking, Who’s Listening is a great collaborative game to help children understand the importance of turn-taking. HABA Hose Phone is similar but for two players. Board games are also great for developing emotions, as they can help to promote resilience when children win or lose. For kids who are fascinated by dinosaurs, Brainbox Dinosaurs is a wonderful collaborative memory game to play. Moreover, these Conversation Cubes are excellent for building social skills, which may boost feelings of confidence for children. Managing emotions can sometimes feel overwhelming, as children are still developing an understanding of all their different feelings. 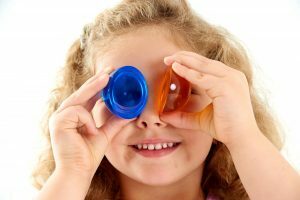 Sensory play is another example of emotional developmental activities for kids that can be a calming experience and help children to interpret their emotions through touch, taste, smell, sight and hearing. 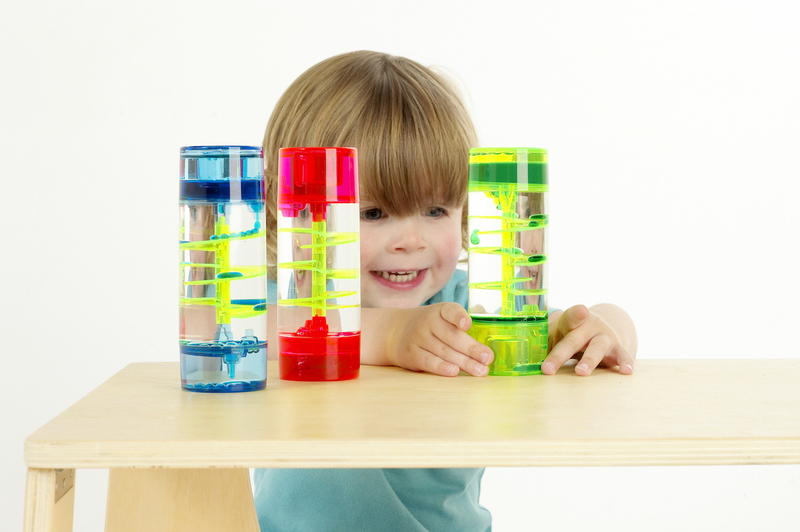 Why not browse some calming sensory toys such as HABA Rainmaker, Perception Semispheres, MindWare Sqwooz Sensory Genius Stress Ball and TickiT Spiral Fluid Liquid Tubes. Expressions tend to go hand in hand with emotions but actually learning to read expressions to deduce the emotion somebody is feeling can be a tricky task. Luckily, there are many useful resources that can encourage and nurture self-awareness and reading expressions. 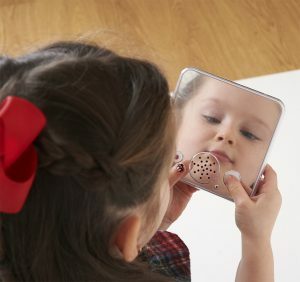 TickiT Face Expression Mirror and this Mirrored Soundbank can help children to recognise their own expressions and voices; they can then transfer this knowledge to read another person’s expressions. Children may also benefit from Little Wise Box of Emotions, a superb, travel-friendly magnetic games that helps children to name, understand and manage their emotions.